Most, if not all of us, have lived in an apartment or another rental at some point in our lives. Many of you may still be living in a rented home. When you rent your home, you’re often limited in what you can do to it, and the space may end up feeling not quite yours. A rented space is usually only a temporary stepping stone on your way to owning your own home. There’s no need to wait, though, to make your space feel more like home and less like a temporary placeholder. These seven simple and easily removed renovations will help your rental feel like home in no time! One of the biggest complaints from renters is how sterile the apartment can feel, as most apartments today are painted white and tenants aren’t allowed to repaint. That doesn’t mean you can’t rid yourself of the plain white, however! Removable wallpapers make a cheap, easy to remove way to brighten up your rental and make it feel more yours. 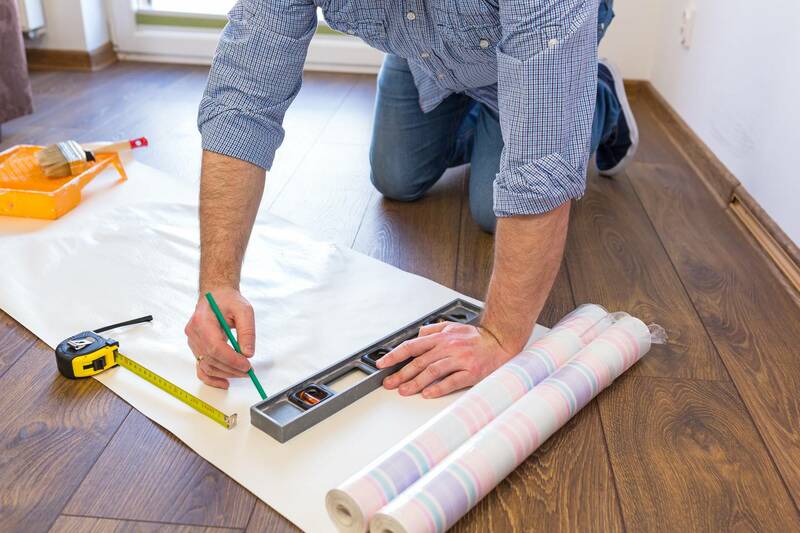 If the idea of spending time and energy papering an entire wall isn’t quite your style, you could also customize your space with smaller splashes of your uniqueness using removable wall decals. If you’re like me, most of your furniture is second hand and doesn’t exactly help scream “you” in your rental home. This is easily solved by a few coats of paint, staining, and maybe a bit of reupholstering, effectively breathing new life into your old furniture and making them uniquely yours. The less crafty among us may have to settle for fabric covers, but they’ll still get the job done nicely. One of the first things I’ve always done when we move is to hang up picture frames, artwork, and my children’s school projects. Nothing screams “home” more to me than having our walls covered in things that mean so much to us. Head to your local thrift shop or even the dollar store and look for artwork, picture frames, or whatever else you can hang on your walls and get your rental feeling like home in no time. Ugly tiles, dark wood, cracked flooring, or horrible carpeting can be the biggest downfall of even the nicest apartment. Buying an area rug can help solve the unsightly and not quite you-ness of the flooring in your rental. 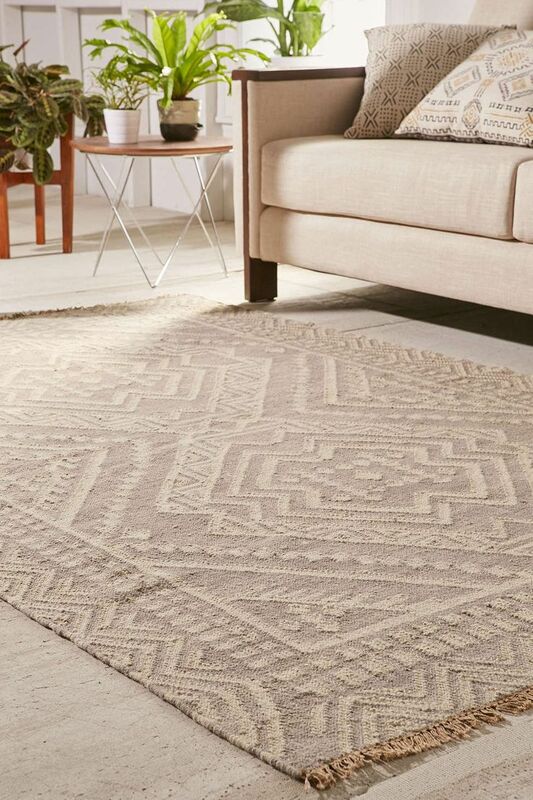 Bright colors, crazy patterns, or just a soft texture: whatever you’re looking for, your area rug will surely help bring it together. Most rentals come with things like refrigerators and stoves, and tenants are not allowed to take them with when you move. 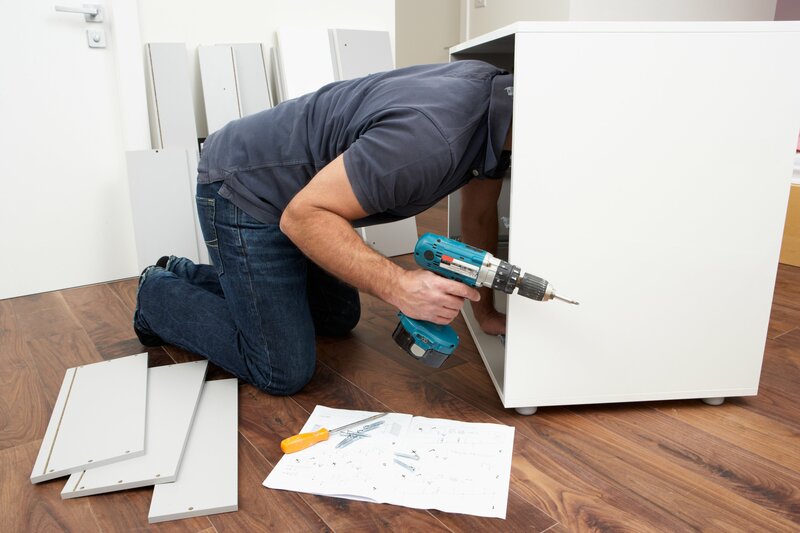 Since storage is often limited, it doesn’t make any sense to replace items like that on your own dime, but you can easily replace such fixtures as faucets, shower heads, and even cabinet and drawer handles. Just make sure you save the originals or be prepared to leave behind the ones you bought. As I mentioned earlier, one of my first moves as a renter was to hang artwork and other personal items up on the walls. Almost simultaneously, I would hang my curtains, blinds, what have you. Living in the south, I often chose to go with bamboo blinds and breezy, see-through curtains. Where you live and what you prefer will determine your own window treatments, but one thing is for sure: your preferred treatment will have your space feeling like home. Although you probably can’t fit a large garden into your rental, you can do some boxed plants, or even hanging ones. Your plants will not only liven up your apartment but also up the air quality. If you’re not a green thumb, just buy yourself some fresh cut flowers at a local market and put them in vases throughout the main area of your living space. Whether your rental is a short term stepping stone or a long term one, there’s no reason it can’t feel like it’s truly yours. You’ll feel better and be happier with your situation, and who knows? Your landlord may even like some of your improvements! What have you done to make a rental feel more like home? Did we leave anything off our list? Let us know in the comments below, and don’t forget to share these ideas with your friends and family!